As mentioned by charaka “vikaranamakusalo…”exact nomenclature is not necessary for all the diseases. It insists on diagnosis of constitutional status of the disease. the later two are rare and may not be amicable to ayurvedic treatments. If hypothyroidism results due to Genetical and hereditary defects, these comes under adibala pravritta vyadhis and these are asadhya. If hypothyroidism results due to Congenital defects like thyroid gland agenesis, dysgenesis, ectopic thyroid gland comes under Janmabala pravritta vyadhis. These are preventable if proper pathyapathya is followed during pregnancy. The main cause of hypothyroidism is iodine deficiency, as per sarvadha sarva bahvanam-iodine containing drugs like shigru, jalakumbhi are advised here. Another main cause autoimmune thyroid disease is characterized by gradual lymphatic infiltration and progressive destruction of the functional thyroid tissue. So it may be Yapya, means that the treatment should be continued Jeevanaparvantam with immuno modulatory drugs. At hypothalamo pituitary level: anti stress drugs, medhya rasayana drugs, nasya karma may be beneficial. At thyroid gland level: thyroid stimulatory drugs are recommended here. At metabolism level: deepana, pacahana, ushna, teekshna, sukshma, lekhana drugs which pep-up body metabolism is recommended. Immuno-modulatory drugs for autoimmune related hypothyroidism. As the symptoms of hypothyroidsm are notorious, the symptomatic treatment is followed according to the suitabily of the individual cases, i.e., sthoulya, sodha etc. The recent research work done by Dr. Tripathi and others. Animal studies have revealed that guggul supports healthy thyroid function, mostly by increasing the conversion of less active Thyroxin (T4) to more active Triiodotyronine (T3) through increasing thyroid proteolytic activity and the uptake of iodine into thyroxin, and without increasing the production of Thyroid Stimulating Hormone. Selenium is required for a number of enzymes known as selenoproteins. The chemical reaction, which converts thyroid hormone T4 into T3, is catalyzed by specific selenoproteins. Selenium deficiency can impair thyroid function. The drug pippali increases the absroption of selinium and this may be cause for the effectiveness of vardhamana pipppli in hypothyroid conditions. The patient who has complications like heart diseases like bradycardia and cardiomagaly, myxedema coma, are Pratyakhyeya indicates Achikitsavastha of Vyadhi. 1. "Sleepada galagandam cha prachysteshu drishyate." 2. "Matsya anna bhojino nityam prachyaah syu kapha bittinah sleepdam galagandam cha prachya sastheshu drishyate. "( Bhe. Sam). 3. "Dustambu panaka…………krimijadosha ganasha gandat" (Ha. Sam). 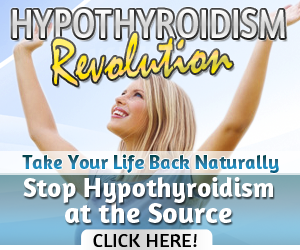 Thyroid Wellness Diet - Are you filling sick and Tired? This Diet will show you, How you Can Improve your Metabolism. Lose Weight, Increase Energy And Feel Alive And Healthy Again! If you are looking for liposuction then learn more @ Msurgicalarts.com . There are multiple different types of liposuction with various different systems that improve liposuction results. Dr. Moein will provide a clear approach in explaining each type of liposuction.